Located on the periphery of a quiet neighborhood on Bloomington's south side, this beautiful home comes with a large yard that opens into a peaceful, wooded setting. The location of this home cannot be beat! 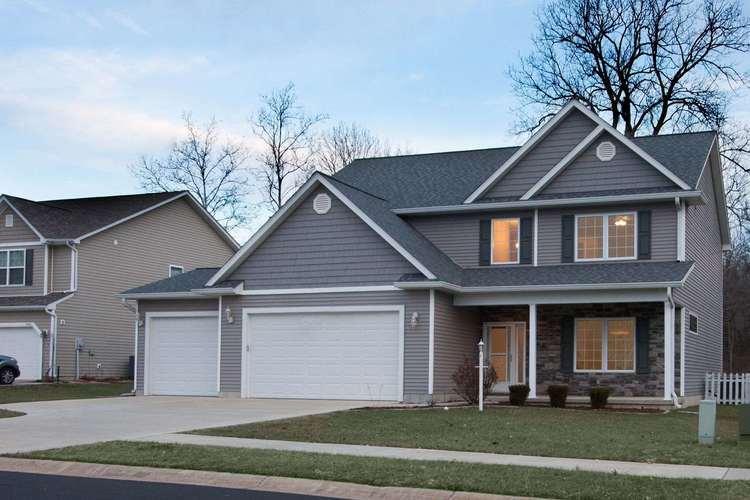 The home opens into a lovely 2 story foyer, and boasts an open floor plan with quality materials throughout. Not a detail was missed with rounded drywall corners, and custom cabinetry. A large kitchen with granite counter tops comes with a spacious breakfast room and a large walk-in pantry. Within the roomy master bedroom, a gracious walk-in closet awaits. Additionally, a 3 car garage that can fit all three cars within, plus extra room for storage, is epoxy sealed for easy cleanup. Furthermore, a beautiful backyard, with patio, along with superb landscaping will allow you to have an oasis all to your own. Directions:Take Gordon Pike to Wickens, turn right. At end of street, turn right on to Glasgow.